The initial idea behind Anou was to enable customers to buy directly from artisans and have artisans fulfill those orders themselves. This was a pretty common sense solution to a lot of the inefficiencies that define the artisan sector and fair trade industry today. This was also in retrospect rather bold. Getting artisans to ship products abroad and assume there would be little issue without oversight might be perceived as a bit naive. That said, from Anou’s launch til mid 2016, our error rate or return rate of items artisans shipped directly was a low 3-5%. Such an error rate was satisfactory and even though the occasional return or problem would really take a bite out of our budget and bandwidth, it was manageable. Starting in mid 2016 though, our error rate ballooned to 25-40%. The reasons for this are complex but it was a combination of several factors. The initiating factors was that our team was consumed with the implosion of an artisan group and spending immense time battling archaic custom rules that prevent artisans from shipping their products directly. With these issues eating up all of our time, it required the artisan team be primarily responsible with following up artisans after sale. Not only did the team do a marginal job, the artisan community felt they would be able to get away with more with simply artisan oversight alone versus if a follow up call or visit came from a foreigner like myself. There’s more to this, but this is the basic idea for purposes of our blog. As problems grew, we didn’t have the bandwidth to deal with the increasing amount of upset customers and problems exponentially grew from there. In short, the past several months were nothing that no sane person would describe as a good time. On the subject of sanity, no sane business person would ever take on a business model where there is even a remote potential of a 40% error rate in orders. This explains why the existence a status quo in Morocco where artisan businesses are never fully artisan led. If Anou were primarily a business, we certainly would have taken proof of the last several months as reason to go a more traditional route. While we operate as a business, it’s not our primary raison d’ être. Anou exists to enable artisans themselves to shape the future of Morocco’s artisan economy so that it works for them, rather than against them. As such, this is a problem that simply needs to be addressed, not avoided. If artisans cannot learn how to ensure quality and accuracy of their shipments, they’re not going to change how the economy works in Morocco. And let’s be real, if you start with the assumption that artisans aren’t capable of this, why bother working in this space? The status quo deals with such issues by drawing up grants and doing trainings and workshops. In Morocco, those don’t work. Therefore our starting point in solving a problem is not workshops, but creating real-time learning experiences for artisans. How, for example, do we turn problems into a continuous stream of learning experiences where we can train hundreds of artisans at a fraction of a cost of a workshop all while building both our bottom line and a critical mass of artisans that have a nuanced understanding of quality control? Over the past, several months we’ve been working closely with our partners at Amana (Morocco’s national post system) and DHL to do exactly that. We’ve been testing this new process over the past month and we now project that we’ll be able to decrease customer side issues and stateside returns below 1%, if not 0%. Now in the majority of cases artisans ship their orders and Amana delivers directly to our office. Members of Association Tithrite working at Anou’s HQ receive shipments from artisans across the country and prepare them for inspection. The artisan leaders then open and inspect every shipment and look for common errors such discrepancy between dimensions listed on the site vs the actual item, stains, bleeding dyes (if wool was not purchased through our Atlas Wool Supply Co initiative), color discrepancies between the listed image and the actual order, among other potential issues. Artisan Leader Mustapha Chaouai walks Rachida of the Khenifra Women’s Cooperative through quality control on a weeks worth of orders. Members of Association Tazrbit observe and eventually step in and try their hand. If the issue can be fixed on the spot, the artisans at the Anou HQ will fix it. If not, the artisans get experience using professional grade cameras and learn photography techniques to better show the product and errors to the customer, all while learning skills they can apply to their own photography when they are back at their cooperative in their home village. After the pictures are complete, the artisans use a small app that we built to enable the artisan team to fill out a simple form about the product using Tashelheet/Arabic, and once submitted, sends an e-mail directly to the customer in English notifying the customer of the problem with detailed pictures. It is best to never pass up an opportunity to enable artisans to feel the direct discomfort of informing customers of a problem. 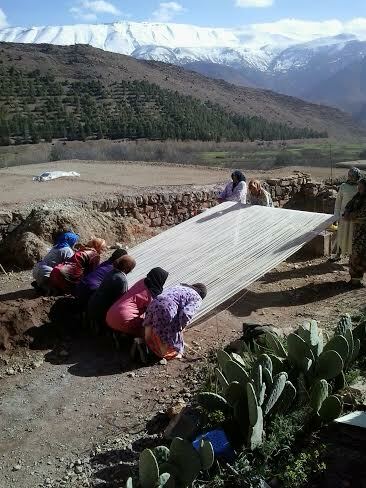 The customers can accept the order as is or they can request a refund and we’ll ship the rug back to the artisans. New tools enable Anou’s artisan leaders at HQ to send important information to customers directly. If you purchased an item from Anou recently, you likely received e-mails from members of Anou’s artisan team. This process is very much in the testing phase but initial results are incredibly positive. Instead of having a customer get an unexpected surprise and putting Anou on the hook for a several hundred dollar return, we can teach artisans how to address problems and improve their skill set all while creating a better customer experience at a max cost of about $12 USD per order affected by an error — a price that most artisans can generally afford to cover. We’re incredibly excited about refining this process and making it live. It is important to note that none of this would have been possible without the incredibly understanding, patient customers we’ve had over past several months. Without their patience and support, we would not have had the space to fix these issues. At Anou we work everyday to change and restructure the current artisan economy so that it works for artisans, rather than against them. But if there is anything we’ve learned is that actual change is really difficult. A lot of what exists in fair-trade marketing is centered around aspirational change. Help empower these female artisans. Help give that person a job. Help give this person a better livelihood. Working towards such goals are laudable. But what happens when those female artisans are actually empowered? What happens when a person who didn’t have a decent livelihood now has one but the other members of his or her community remain stuck? This is where actual change begins. What separates Anou from just about everything else is that we are owned and operated by authentic artisans. Outside of the founder, the entire team is comprised of Moroccan artisans. Our team’s average education level is 7th grade and only one has graduated from high school. 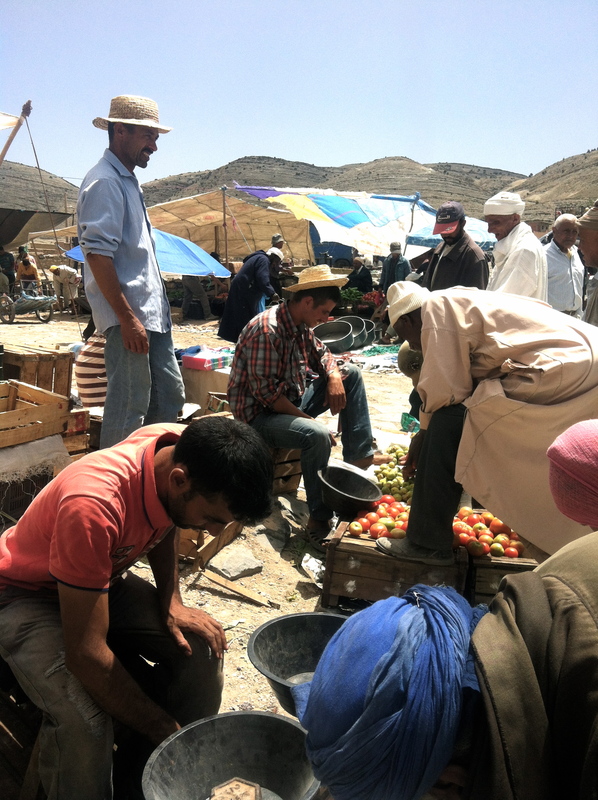 This is generally reflective of the average status of the artisan community here in Morocco. Our team is the cornerstone of our vision of creating an artisan-centered economy and bringing about real change in the Moroccan artisan sector. By hiring artisans, they learn skills that traditionally are reserved for non-profits aiming to help artisans. Also important, artisans get paid actual wages and develop actual wealth. These combined give artisans the skill and creative space to learn how to bend and shape the future of Anou, and by extension, the future of craft in Morocco. This change, actual change, is what Anou is all about. This optimistic vision, however, cannot be realized without addressing the ugly side of change. Actual change makes people uncomfortable and unseats those who may have once been the comfortable benefactor of the status quo. For example, the cooperative of one of our artisan leaders, a female, had become the largest employer in the village excluding the government. Moreover, in many months of the year, the female weavers were individually earning more money than the local governor. This cooperative was the poster child of the aspirational change that fills artisan marketing. But after a couple of small missteps by the president, such as poor vetting of new cooperative members and minor accounting mistakes that a 7th grade educated artisan is prone to make, the aftershocks of real change took hold. Jockeying for position to prepare for the elections in the fall of 2016, local political party leaders picked up on the missteps and initiated a behind the scenes smear campaign against the female president. As part of this, political parties hired lawyers and financed over 36 lawsuits against the president starting in the summer of 2016. The lawsuits explicitly pitted members of the cooperative against each other. The politicians’ goals were to unseat the president and place a person belonging to their party at the head of the cooperative to curry prestige and earn more votes in the upcoming election. 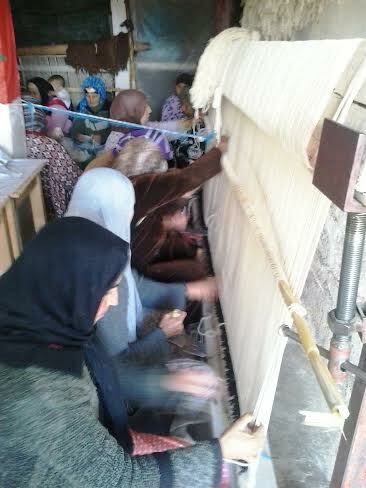 The once successful group stopped weaving and instead spent their time facing off in monthly court hearings. The fairly common response to all of this was that artisans, particularly female ones, shouldn’t be put in positions of power because they cannot handle the work. It’s all just too messy. The vast majority of people taking the time to read this post will vehemently disagree. But the wider structure of the artisan market implicitly agrees with such statements, many fair-trade and non-profit organizations included. Everything is largely stuck in the aspirational side of change in the artisan sector, because that is what sells and works in the short-term. Many groups focus on craft as a means of poverty alleviation, but this doesn’t challenge the actual systemic reasons why artisans are continually poor. Other businesses do the work of selling to create a more consistent experience for customers, but this doesn’t address the systemic reasons why artisans have no awareness of international market demands. Solving the systemic issues that artisans face often means dealing with the messy, ugly side of change — the stuff that doesn’t quite fit in a glossy magazine or Instagram post. Anou operates first and foremost as a business. But we dive into the ugly side of change head first because we are focused on the long-term, even if that means that we’re going to make a lot of mistakes in the short-term. In November 2016, a cooperative president was married and her new husband barred her from working from the cooperative. The leaderless cooperative then proceeded to send thousands of dollars in product to the wrong addresses all over the world. It is now February, and we’re still cleaning up that mess. The reaction of the weavers of the cooperative was that they themselves shouldn’t be responsible for managing the cooperative and that they needed a male in the village to manage the work. While that would help in the short-term, we rejected that as a solution because we are always committed to being artisan led, from Anou itself to the cooperatives that comprise our community. Lessons from these painful mistakes will become institutionalized within the artisan community over time. And not only will that cooperative be less likely to make that error again, our artisan team is better able to prevent such problems from occurring in the future. When the court battles of over 36 lawsuits reached fever pitch, we sent out one of our best and brightest artisan leaders, a 8th grade educated metalsmith to intervene and help negotiate a solution end the ongoing court battles. Empowered by years of working on the Anou team, and equipped with the leverage of holding access to Anou’s marketplace, the metalsmith recently negotiated a solution that local lawyers couldn’t figure out. Throughout this several month long process, which left us severely understaffed at Anou, the metalsmith has largely become an expert in Moroccan cooperative law. Today, he is now actively working with other groups in the Anou community that are exhibiting the red flags that proceeded the epic court battles of the once successful artisan group described above. In fact, he is on the phone helping a private bank’s staff understand cooperative compliance laws as I write this post. This is actual change. Change is not easy and it takes time. Yes, this means that we are going to continue making mistakes and sometimes create a really crappy customer experience for a small number of our customers. In fact, we just received our first BBB complaint as a result of being so understaffed these past few months. It would be easier to omit artisans from the management of Anou so we could avoid such problems. But what would we end up changing? Not very much. Right now, as difficult as it is to write, we cannot guarantee our customers a flawless experience yet. While we aspire to Amazon level-like service and speed — and we’re well on our way — we need more time and experience. What we can guarantee, however, is that every sale that you make through Anou will contribute to creating real change. That simply cannot be guaranteed by any other artisanal sellers in Morocco. We are absolutely indebted to all of our customers who understand this and support our long-term vision. We humbly thank you for taking a chance with your dollars on our growing community. Fatiha (right) sits alongside Brahim El Mansouri of Association Ighrem to create some of her first sketches. Fatiha Ait Ouagadir of Cooperative Tifawin, just before becoming an artisan leader, sat in Anou’s office with an unusual request: use colored pencils to sketch out a new idea for a rug. Fatiha sat in her chair struggling to put a pencil to paper. She eventually sketched a design she had woven many times before. When pressed to create something new or simply rearrange the design she had sketched, she struggled more and eventually gave up. It just wasn’t possible, she said. Fatiha’s story points to the widely held idea that artisans are not designers. Research artisan businesses and you’ll see an economy that embodies this. It may be easy to conclude that artisans can’t design because they’re not capable, but it is actually the result something much more systemic. Most businesses design products and then have artisans make the product. Rarely, if ever, are artisans truly consulted on design work. Generally, a Moroccan artisan’s input goes only as far as a designer gaining inspiration from the artisan’s culture and traditions. Outside designers then drive innovation and change by refreshing, revitalizing or incorporating a western twist on artisan traditions. The language of innovation and change is often used to describe the outside designer, but rarely the Moroccan artisan. This is because if artisans were to drive change, the traditions they represent might be lost forever. 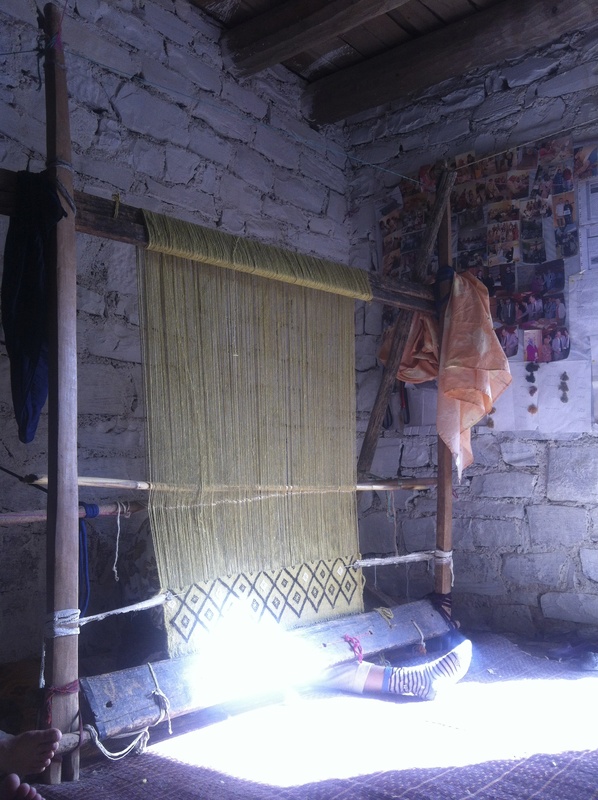 Instead of change and progress, the language that surrounds artisans focuses more on preservation and tradition. The artisan sector as a whole seems to have accepted all of this as a natural symbiosis between a designer and artisan. Yet this relationship is structurally flawed. The reason is that the artisan and designer are not equal in today’s economy. The designer, who normally controls market access, has full control over the design and can dip into an artisan’s tradition as much or as little as she/he wants. The less obvious reasons can be uncovered by asking what traditions are artisans expected to preserve? As Ashley Miller, a PhD candidate of art history at the University of Michigan writes in Negotiating Design, “We commonly imagine tradition as a fixed, unchanging set of practices or beliefs; it is something that can be contained, something already complete.” But the reality is many traditions, as Ashley goes on to write, may appear to be timeless but in fact can be dated to a specific time not that long ago. A great example is this rug, which is commonly sold as a vintage, tribal Berber rug, when in fact it is commonly known amongst artisans that it was first designed by a European artist in the 1990’s. In fact, it is not difficult to argue that most traditional Moroccan designs that many gain their inspiration from aren’t even firmly rooted in the history and culture of Moroccan artisans. In 1914, the French Protectorate initiated a massive campaign via what was called the Native Arts Service to revitalize Morocco’s craft industries. Through their efforts, Moroccan artisans produced work that largely embodied a French colonial notion of traditional Moroccan craft. Even to this day, revered publications on Moroccan design follow the language and structure that the French Protectorate created to preserve what was ultimately their perspective of Moroccan craft and tradition. If we continue to believe that the purpose of the artisan community of Morocco exists to preserve tradition, then we have to ask if what they are expected to preserve is truly theirs. And if we continue with the belief that artisans can’t design, how will artisans ever be able to drive the progress of their own traditions and craft? If we accept that artisans can’t design then we must accept the incorrect museumification of artisan craft through the sale of vintage products, which omits today’s artisans from the economy completely. This deeply matters to Anou. Our vision is to create a growing, vibrant, inclusive community of all Moroccan artisans. How can a community possibly grow if it is restricted to a fixed idea of tradition and the creativity and ideas of others? You only need so many artisans to recreate what exists. And in an increasingly mechanized world, it’s not hard for some to question whether artisans are needed at all. In this context, it is unsurprising that the number of Moroccan artisans has decreased from 1.2 million to 400,000 in a very short period of time. For us at Anou, it’s a false question to ask if artisans like Fatiha are capable of design or if they even should. Rather, Fatiha represents the actual questions that must be answered: How can an economy be created that is capable of unlocking the creative potential and evolving traditions of Moroccan artisans? This is the heart of our vision in creating the future of artisan design in Morocco. In 2012 Brahim El Mansouri and I set off with the intention to transform the artisan sector of Morocco by creating a marketplace where any artisan, regardless of literacy, could sell their products directly to their customers. After an exhausting year, we finally completed and released the first iteration of Anou’s marketplace at the end of 2012. The first year challenged many of our assumptions about the artisan sector of Morocco, many of which were pretty naive. We had thought that ensuring equal access to the global marketplace for artisans was really all that was necessary to transform the artisan sector in Morocco. In fact, our original vision statement simply focused on connecting artisans directly with their customers. But after building what we thought was an innovative site that reduced the barriers for any artisan to sell directly to their customers, artisans didn’t exactly line up to join and we definitely didn’t find many customers. The first year of Anou felt like a failure because we had changed very little despite our bold ambitions. In retrospect however, the struggles of the first year were crucial because it was the beginning of our understanding about the fundamental problems that affected the artisan community — ones that far run deeper than just access to market or fair wages. The problems we began uncovering were big, and we were hesitant to continue working on Anou. Morocco, as anyone who has tried to change things here knows, is like a black hole. Once you decide to change something here the work will consume you whole. No matter how knowledgeable or hard working you may be, it is seemingly not up to you as to when, where or what form you’ll come out as on the other side. Brahim and I had many conversations about whether we should push forward or not. Were the problems we kept running into solvable? Could we really do anything about it? We were either going to commit or not at all. Of all we learned in the first year, the most important was the necessity of community. The challenges Moroccan artisans face are simply too vast for a small team to tackle: many start-ups and companies flush with cash and good intentions have failed to crack the artisan market in Morocco. For Anou to succeed in addressing myriad challenges of the artisan community, we would have to create an environment where all artisans have a shared purpose in addressing them. The desire to establish this community, one powered by the marketplace we had built, pushed us to commit to seeing the work of Anou through. In the beginning of 2014, Anou’s focus and vision zeroed in on community, and we implemented several sweeping changes to how Anou worked. First, we began to ensure that a team of artisans from the community could manage all the trainings and onboarding of new artisans on to the site. Toward the end of 2014, we radically restructured Anou’s leadership structure to enable several artisans to gain the experience in managing Anou. Further, we made all of our expenses public so that all artisans could see exactly where Anou’s money was going with the intention to increase buy in from the team and wider community. Then, after a year’s worth of work, we finally incorporated Anou as Morocco’s first national cooperative in June of 2015. These changes were not easy to realize. In the midst of these adjustments, we were faced with difficult challenges that resulted from bad decisions to other setbacks that were beyond our control. But through all these struggles, Anou’s artisan team developed resiliency — the foundation required to bring our community together. Today, we now have a team of six artisan leaders who can manage all the daily operations of the site, including payments, fulfillment, troubleshooting, and much more. Such tasks that have traditionally been outsourced to fair-trade organizations or middlemen are now being completed by a team with an average middle school education. During this time, our sales increased from a thousand dollars a month back in 2013 to a new record setting month of nearly $31,000 USD in May of 2016 — putting $500,000 in annual sales within reach. 83% of that revenue went directly to the artisans who made and listed the sold products, with the remainder going towards Anou’s budget. Last month, nearly 50% of our operating budget was used to pay artisans from the community to maintain and grow Anou. Several years ago, while sitting in a presentation by the Ministry of Handicraft, an official noted that there were 1.2 million artisans in Morocco. A couple of months ago, the Ministry informed the Financial Times that there are now 400,000 artisans in Morocco. While the wide difference in numbers may be likely the result of a new way of categorizing artisans, the decline is real. We’ve heard unofficial statistics that the number of artisans in Morocco decreases by 17% per year, and our observations support these numbers. Meanwhile, the Ministry also reports year over year increases in overall sales of the artisan sector of Morocco. In addition, the rate of new fair trade retailers only seems to increase. These trends represent an alarming dissonance that points to the fact that the existing model of the artisan marketplace is not working. These numbers make us feel as if we have accomplished very little since we launched Anou over four years ago. But similar to the end our first year of work, the past three years have been an immense education for us on the challenges that face the artisan sector in Morocco. We’ve learned that in the midst of the multitude of challenges artisans that face, there is only one systemic problem: artisans have no voice or power to address any of these issues for themselves. Despite the endless institutions, organizations and businesses designed to support artisans, no initiatives take empowerment to the level where artisans actually gain power or a voice in how the artisan sector should work. There is a fundamental assumption that artisans should just create and leave the rest of the work like design, selling and business development to others because they cannot do it. The problem is that the ‘rest of the work’ is where influence, creativity and wealth is created. The ‘rest of the work’ is the only way that artisans can create value that goes beyond the low ceilings of fair and living wages defined by others. Enabling artisans to own the ‘rest of the work’ is the only way that the status quo will ever change. Four years since we began Anou, we’re at a crossroads once more as we ask ourselves what is the vision of Anou? What do we want Anou to be? We could simply be complacent in where we are today and accept there are certain things aren’t just meant to be changed. But everyday we wake up driven by the belief that Anou, powered by its community and marketplace can enable all artisans to become masters of their craft, design, business, and ultimately the artisan economy in Morocco. Through Anou, we believe that artisans will bring themselves in from the fringe of their economy to the center of it and shape the trajectory of Moroccan craft in the 21st century. We will know when we have succeeded when there is no longer an annual decline of artisans in Morocco because Morocco’s youth pursue craft not out of necessity, but because of the future it represents. By no means will realizing any of this be easy. None of the work thus far has been. But as we sit at a crossroads today, the decision to pursue this vision could not be any more clear. Touda lives in Ait Bouli and is only a 25 minute drive to the near by prehistoric rock carvings. Last month, she visited for the first time ever to gain inspiration for new rug designs rooted in the culture of Ait Bouli. The picturesque and mysterious Tizi N’tighrst rock carvings of Ait Bouli are relatively unknown except to the local villagers of Ait Bouli. The carvings sit on a pass between two villages of Ait Bouli, often only frequented by shepherds and villagers traveling to the weekly souk. Little is known about them, but many say they are over 3,000 years old and may have been an important religious site. This is not lost on Touda, who believes that these carvings are an important part of Ait Bouli’s culture. Touda thought hard and received feedback from Anou’s artisan leaders and team and eventually selected her favorite design to weave. After a month of weaving, her newly designed rug was complete! Artisan Leader Rabha Akkaoui Wins GroupX Business Innovation Competition! 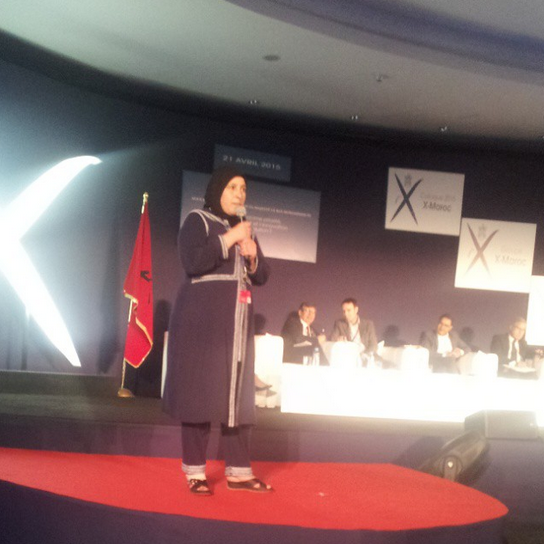 Rabha on the stage at X-Maroc! Earlier this week, we were surprised to learn that we were selected as a finalist for Morocco’s Group X Innovation Competition. So with little time to prepare, Artisan Leader Rabha Akkaoui (Cooperative Chorouk) volunteered to represent the Anou community. The requirements were tough: 3 minutes pitch followed by 4 minutes of Q&A in front of an audience of business and policy experts, including the Moroccan Minister of Industry and Comm erce at one point. Anou’s artisan leaders have pitched Anou several times before, including Rabha, but the shorter the pitch, the bigger the crowd and the better competition, the more difficult the pitch becomes for the leader to pull off. Rabha spent the previous 24 hours developing her script trying to distill the message of Anou up until a couple of minutes before the competition began. So when Rabha took the stage in front of 200 people, she was understandably nervous. She started off strong — her hard work was paying off. Towards the end of her pitch though, Rabha forgot her last couple of sentences and froze — but it didn’t matter as the crowd gave her the loudest applause of the day. Rabha left the stage disappointed that she had forgotten forgotten the last sentence, but that disappointed faded when later that day GroupX announced that Rabha had taken first place in the competition! We’re incredibly excited for Rabha. She displayed the best of what the artisan community in Morocco is capable of by competing against some of the best companies and start ups in Morocco. And better yet, she won a prize of 30,000 MAD ($3,000 USD) that will be used to grow the Anou community! Congrats Rabha! Anou Nominated for E-Commerce Site of the Year! We were excited to learn that Anou was nominated as Morocco’s e-commerce site of the year! In order to make it to the finals, Anou must generate enough votes to finish in the top five. From there a committee of heavy weights from Morocco’s start up and business communities will select the winner based on criteria such as innovation, impact and originality. 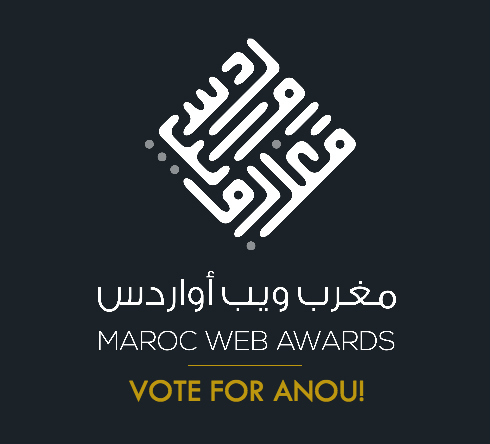 So in order to get Anou to the finals, all you have to do is vote for us on the Maroc Web Awards site. It’ll take 30 seconds of your time and three clicks of your finger! Recently, a fair-trade business owner visited one of the cooperatives Anou serves looking to purchase several “fair trade” rugs. The artisans told the fair-trade business owner that their prices were the same in their workshop as they are on their Anou online store. 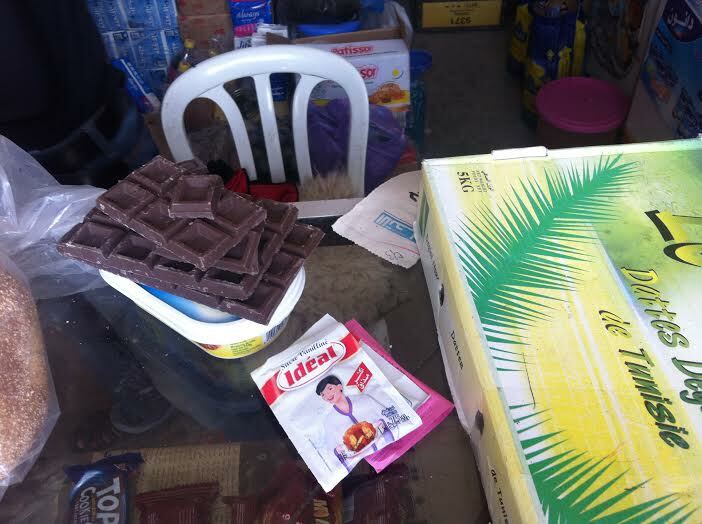 The fair-trade owner complained that the prices listed online were too expensive and that they expected that prices would be cheaper at the workshop. However, all prices on Anou are set by the artisans that made the products. The difference between purchasing from an artisan workshop in person or via their store page on TheAnou.com is essentially zero minus the shipping costs. Undeterred, the owner began to increase the pressure, refusing to buy anything if the prices were not reduced to a level the owner deemed acceptable. Since it was only two days before the biggest holiday of the year in Morocco, and a holiday for which everyone saves their money to buy food and gifts (Eid Kabir), the women of the cooperative panicked and gave the owner a 10% discount on their rugs, amounting to about $5 USD discount per rug. 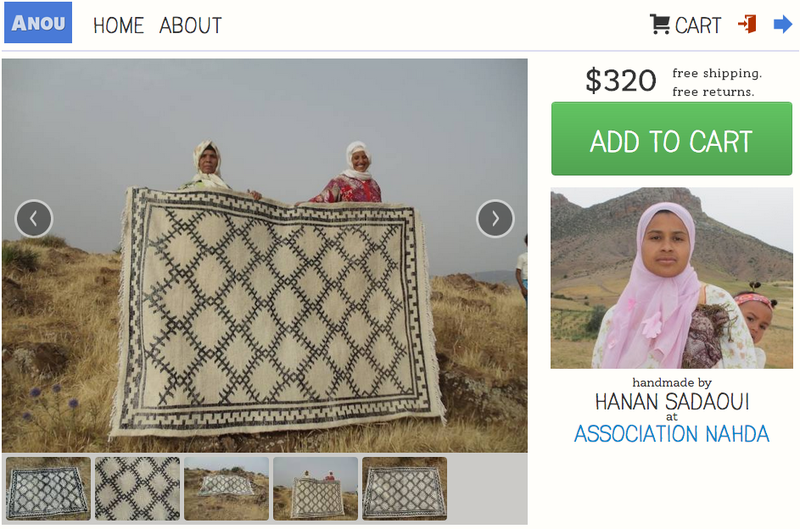 We contacted the owner directly about sourcing products through Anou in the past, but they said, “the prices listed on Anou are too expensive and I have business costs to meet.” One month later, the $45 rug was listed on their website for $366. 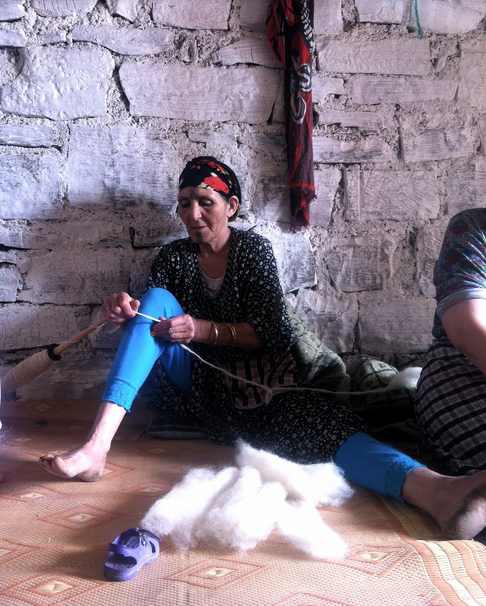 A description of the rug stated, “with the purchase of this rug, you directly support [artisan’s name] so she can better support her family.” This begs the question, was discounting the artisans by $5 really necessary? And does an 813% retail mark-up really follow the fair-trade business owners claim that their fabrics are “fair and honest”? The challenge of finding an answer to the question of whether a $5 discount was necessary points to the significant and troubling lack of transparency within the fair-trade industry. Unfortunately, there is no incentive or even a remote expectation for fair-trade businesses to be completely transparent about their costs. Customers must simply trust that a business is fair and practices what it markets. This holds true for established fair-trade organizations as well. Their slick websites display dazzling statistics about their operations, such as impossibly low overhead costs so artisans can get the “fairest” price. But dig a little deeper and you often find that fair-trade marketing focuses far more on evocative photos than on substance. To glimpse beneath the surface, track down an organization’s 990 report (you can do that on www.guidestar.org). 990 reports are where tax exempt organizations in the US are legally required to publicly list their expenses and revenue. While 990 forms don’t provide that much clarity on an organization’s budget, they’re clear enough to see some pretty big red flags. For example, the two founders of one artisan focused organization collectively earn over $200,000 in salary annually. These two salaries account for nearly 50% of their entire annual budget and is likely greater than the value of all products purchased and sold in the same year. To cover these “overhead” costs, the organization raises funds through charity. Do their donors understand how much of their donation is going towards initiatives that may or may not benefit artisans or follow “fair trade” principles? Do their donors know how much artisans really make working with this organization? Without full transparency we are left to simply trust the information they market. 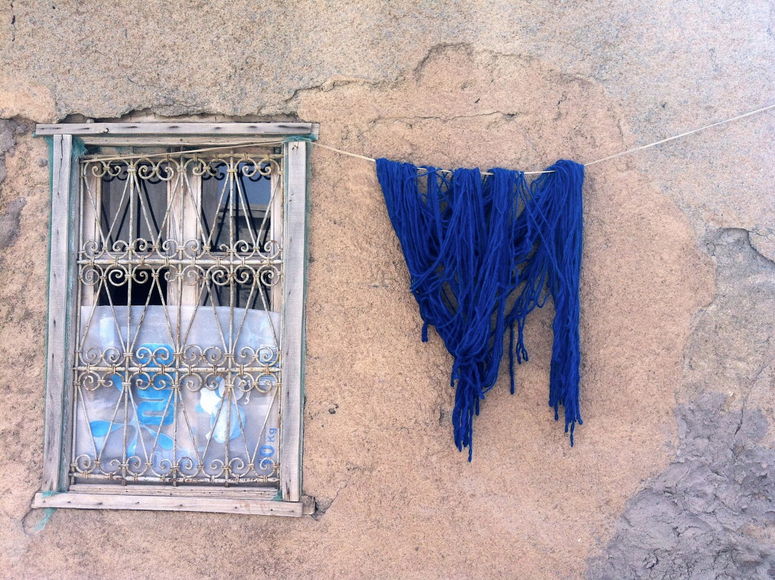 This lack of transparency always leaves artisans in Morocco with the short end of the stick. Artisans are regularly coerced into giving much more than $5 discounts because of someone else’s business’ costs, fair-trade or not. The worst part? The end customer never even knows. As long as this continues, artisans will remain disenfranchised and poor, which only provides the fuel for the endless parade of organizations trying to save them. Anou is breaking this monotonous cycle by empowering the community of artisans in Morocco to drive their own growth and development. Naturally, financial transparency has become the backbone of ensuring this community is capable of establishing equal access to the free market on their terms. When Anou’s artisan leaders input their expenses, they’re automatically categorized on our public budget. This is why, starting today, Anou is making its real time data for expenses publically accessible. Next, we will begin building the tools to publicly display the revenue of our community in real time. This way when purchasing from artisans in the Anou community, customers will know exactly where their money is going. No need to take our word for it or believe that “all money goes to the artisan!”, you can simply see it for yourself. This document is what we use internally to record and track our costs, so you see what we see in realtime. While this decision uncomfortably challenges the status quo, we believe it is absolutely necessary for us to do. We cannot create the trust needed for the artisan community to coalesce if only a select few can view Anou’s expenses — it is the artisan’s money after all. Nor can we create the expectation for artisans within the community to become more transparent if we do not set the example ourselves. Lastly, if we do not do anything, there is no incentive for anyone else in the fair-trade industry to ever change. At first glance, full transparency might be perceived as naive, idealistic, and/or unrealistic. But is it really? One business in the US, Bufferapp, recently made all of their salaries and sales data open to the public in real time. The move was heralded as ground breaking, signaling a new era in how businesses are run in the 21st century. This company isn’t a social enterprise, nor does it have a traditional altruistic mission. Bufferapp simply develops a software application that enables people to easily manage multiple social media accounts. If a private for-profit company with no direct purpose in helping marginalized populations can execute transparency better than everyone in the fair-trade industry, it is naive and unrealistic to believe that fair-trade should remain the same. As we continue our push to full transparency, we ask that you join and support Anou to realize a marketplace that works for both artisans and their customers. You can show this support by spreading the word about Anou’s work, purchasing through Anou, or doing something as simple as asking a question about our budget in the comments below so that we can make our budget more understandable. With your help, artisans will no longer settle for $5 discounts and customers around the world can buy with the knowledge that their money is going where it is meant to go. Note: We’ll be exploring our budget more in depth in forthcoming blog posts. In the mean time, ask us any questions you have below! This month we decided to suspend the account of one of the most well-known cooperatives in Morocco. While the decision was difficult to make, particularly during the holiday rush, it was necessary because we believe that transparency is a cornerstone of Anou’s community. As we’ve written about many times before, access to limited resources coupled with illiteracy and low-education levels all contribute to the challenging and opaque environments in which artisans frequently work. As a result, many artisans have little awareness of what happens within their own artisans groups, associations or cooperatives. Even when artisans have the awareness to see something wrong, they’re often too afraid to expose the issue so it can be resolved. This makes it frighteningly easy for artisans to be taken advantage of by anyone, including members of their own cooperative. Sadly, this was occurring in the cooperative we suspended. We had long suspected that a small group of women within the cooperative were embezzling money, or depending on your perspective, covering the ‘costs’ of operating the cooperative. However, we never had evidence that proved beyond a reasonable doubt that money was in fact being stolen. During the last several months, we have continued to tighten up our transparency efforts. This has included actively reaching out via phone calls to artisans tagged as the maker of specific sold products to confirm how much they had received as a result of their sale. In addition, multiple cooperative members became comfortable enough to reach out to Anou artisan leaders and alert them to problems within their cooperative. All of this enabled us to paint an accurate picture of what was happening within the cooperative. The first thing we found was the true story behind two slightly incorrect custom orders the cooperative had recently made. The president told us that the incorrect designs were the result of having the items handmade. The customer of the rug graciously accepted them as they were. However, in reality, the president instead bought similar rugs from a local market and pocketed a 400% markup. We also learned that the members within the cooperative were unaware that they were only being paid 50% of the price listed on their online store on Anou. The officers claimed that the other 50% went to cover the costs of the cooperative. While it is none of our business how a cooperative distributes their revenue, it becomes a problem if none of the members are aware of this information nor agree to it. In this case, the members never knew about this information nor could they, or the officers, clearly explain what the costs were of the cooperative. As the officers fumbled trying to sort out their finances, it was discouragingly obvious that the 50% was exclusively going to three members of the group. These actions not only violated the values of Anou’s community, but threatened the trust the community has built with the thousands of customers who have purchased from Anou’s online store. Anou’s artisan leaders quickly decided to suspend the group. In preparing to suspend the cooperative, we investigated the situation further to outline what conditions they would have to meet if they wanted to rejoin the community. During our investigation, we found that the cooperative had not held a general assembly in over two years. 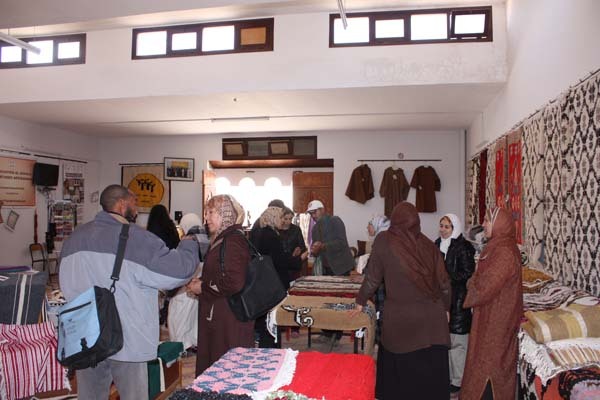 Annual general assemblies are a legal requirement for Moroccan cooperatives. It is at these meetings where members agree on how payments are distributed within the cooperative. With no general assembly, there was no clarity on where their sales money was going and no one could be held accountable. This makes it incredibly easy for money to disappear. We decided that if the cooperative wanted to rejoin the Anou community, they would have to hold a general assembly and establish, in writing, what percentage of their sales from their online store would go to cover the cooperative’s expenses. All the members would be required to sign it, and an Anou artisan leader may be present if requested. After a rather intense meeting, the artisans finally agreed to meet these requirements. Once this occurs, we will reopen their store on TheAnou.com and follow up with every artisan after they make a sale to hold them accountable. At the time of writing, the artisans still have not held their meeting but they have told us it will happen soon. Perhaps the saddest part of this story is that this cooperative is not the only cooperative where similar problems may be occurring. In fact, it is fairly easy to find these groups. We have learned that cooperatives where members are exploited often sell via fair trade businesses where honesty and equality are never measured and enforced down to the member level. When you Google the name of the cooperative we just suspended, you’ll find several articles written by fair trade businesses that canonize its female members. The articles paint the members that were embezzling money from the cooperative as examples of leadership and the steady hands that are working to preserve their craft and heritage. These statements are not false, but they generalize artisans into simple caricatures who need to be saved. This isn’t surprising because when you combine limited on-the-ground knowledge with the primary motivation of driving sales at incredibly marked up prices, these fair-trade businesses tend to gloss over the fact that artisans are no more or less human than the people who purchase their products. The artisans that contributed to their cooperative’s suspension are not criminals nor saints. Rather, their actions were simply the result of the opaque, challenging environments they work in. Creating transparency in these environments is complicated, so complicated that the only individuals capable of setting the rules to create transparency is the artisan community leaders themselves. This is why having artisans leading the Anou community is so important. Even today, Anou’s leaders are still sorting out how to create a truly transparent platform that works for all artisans. While it will take the community time to perfect the Anou platform, we couldn’t dream of a better system to create. The core experience of the Common Thread project is rooted in collaboration, understanding and the exchange of ideas. After the completion of the design workshop led by Sabrina Kraus Lopez (www.sabrinakrauslopez.com), Sabrina accompanied Rabha Akkaoui back to Tounfite where she stayed for three weeks working and living alongside the women of Cooperative Chorouk (www.theanou.com/store/3). 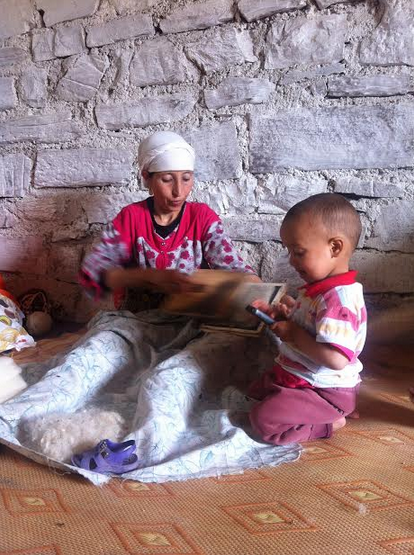 In this album, Sabrina reflects on her experiences through pictures taken throughout the three weeks. What is the Difference Between a Flatweave, Pile Knot and Beni Ourain Rug? A customer recently wrote in and asked us what exactly is the difference between a flatweave, pile knot and Beni Ourain rug? We thought there would be no better place than to provide a quick answer to this question than on our blog! So where does a Beni Ourain fit within all of this? Technically, it doesn’t. 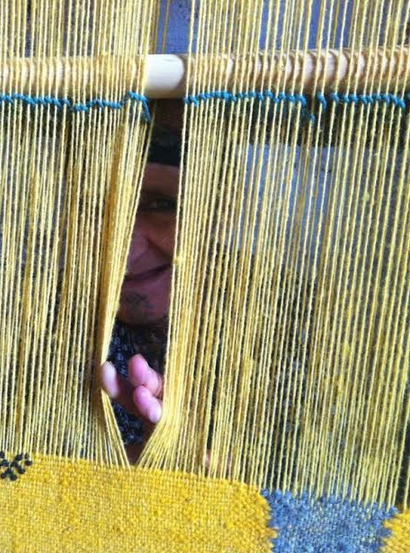 A Beni Ourain is not a weaving technique. 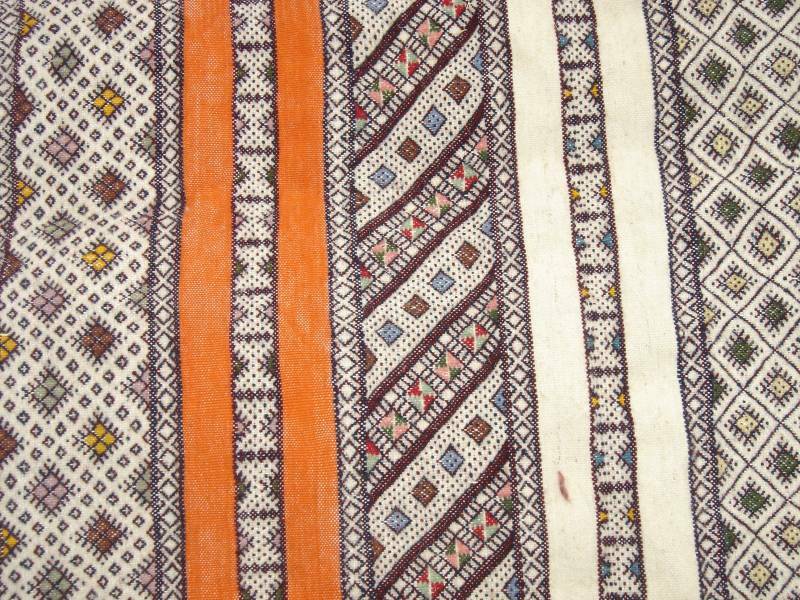 In fact, a Beni Ourain is always woven in a pile knot weave as described above. 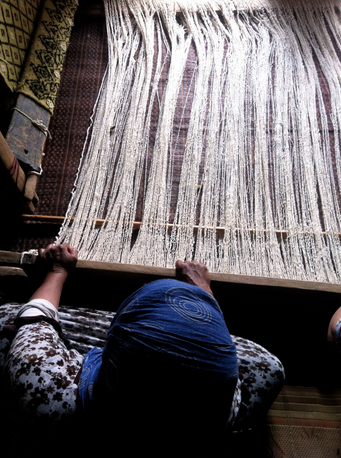 What separates Beni Ourain’s from every other rug is where it was woven, who wove it, and its design. Authentic Beni Ourain rugs are those woven by the Beni Ourain tribe or those who have lineage to the tribe that resides/resided in mountainous areas south east of Fez. Proving lineage is difficult, obviously. I am sure every vintage rug seller has an elaborate story about their rugs or will claim personal lineage to the tribe, so take it all in with a grain of salt. As for the design, there are no set rules as to what defines a Beni Ourain design but many would agree that their designs are almost always a pile knot rug with a cream, ivory, (read: natural wool) base with distinct black geometric designs. If you’re interested in having a custom order Beni Ourain style rug, the Cooperative of Imelghaus is becoming the go-to coop that uses Anou’s online store. For all the other groups, just do a search on http://www.theanou.com! The customer asked to have the rug remade since it was so radically different. But the rug which became known as the ‘mistake’ sold to another customer within a week. It then got two other custom order inquiries a week later. We ended up referring to this order almost everyday during our recent design workshop when discussing the benefit of trying new ideas inspired by traditional designs. 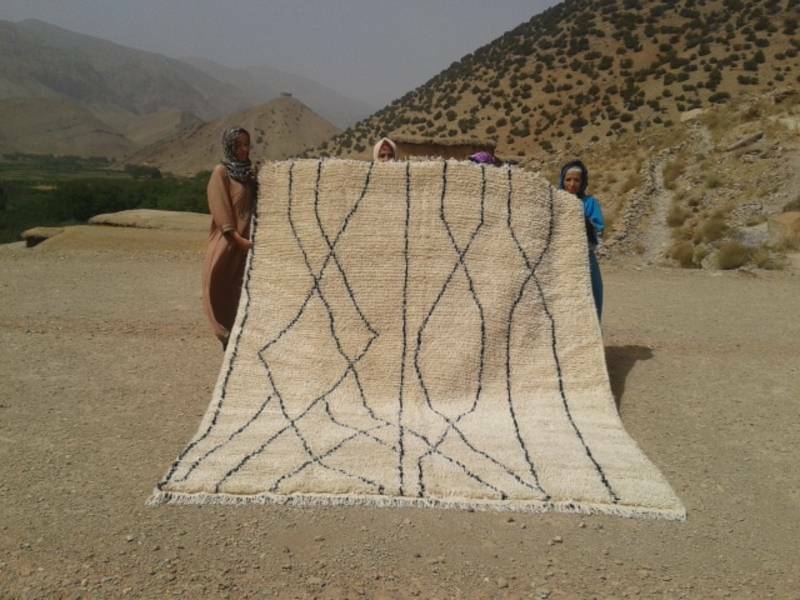 Early last month, we had a customer from New York (who we’ll call ‘N’) order two rugs from the women of Cooperative Tisseuses in Ain Leuh and another customer from California (who we’ll call ‘C’) who bought rugs from the women of Association Timdokkals in Ait Bouguemez. Immediately after his purchase, ‘C’ informed us he wanted to change his address. Since the artisans didn’t ship the order yet, we sent the new address to the artisan director. However, for whatever reason, the artisan director sent the new updated address to Cooperative Tisseuses, not Association Timdokkals. Last week, ‘N’ notified us that his rugs hadn’t arrived. It wasn’t until we investigated the shipment and found that it the shipment had arrived at ‘C’s address did we realize the incorrect address was sent to Cooperative Tisseueses. When he reached out to ‘C’ about the mistake, he told us that when he received his package (the incorrect one) he didn’t open the package, safely assuming it was correct and had the package forwarded to the Philippines. With the package en route to an entirely different country, it would prove to be incredibly difficult to get them rerouted to the original customer. But since all of our customers are awesome, C decided to keep the rugs so we wouldn’t have to ship them all the way back to New York, and N decided to have the rugs he purchased remade. We’re so sorry that this happened C and N! Fortunately, the last two terribly wrong orders and two incredibly positive outcomes — phew! 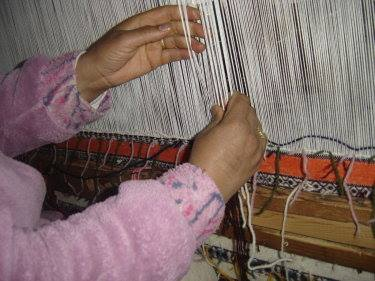 We often receive messages from visitors on TheAnou.com if we can provide the contact details for an artisan in the Anou community or directions to their shop. Unfortunately, we are no longer able to do this. Several months ago, Anou’s artisan leaders decided against both fulfilling these requests and publicly listing the directions or GPS coordinates to artisans within the Anou community. It wasn’t always this way. Prior to this decision, we provided directions to anyone who asked. However, we started receiving complaints from artisans that some visitors showed up haggling for discounts or imposing industry standard wholesale discounts. The artisans would ask why we would send such visitors to them when such requests are against the Anou community’s vision? It was a fair question. We tried doing informal chats with people who requested to be put in touch artisans so we could ensure that they knew the values of Anou’s community. This didn’t really work either. This problem culminated when a visitor got entangled in the politics of the cooperative they were visiting due to the often non-transparent practices that can occur with in-person sales. Since we sent the visitor, we were responsible for what occurred. The decision of Anou’s leaders came shortly after. What we have learned is that customers of Anou’s online store, particularly recurring ones, do understand our vision and we have had no problems putting them in touch with artisans on their trips. So if you’re a recurring customer of Anou’s online store we’re more than happy to work with you so you can visit artisans within the Anou community or recommend tour agencies that support the artisan community’s vision. If you have any feedback or thoughts, let us know in the comments below! Ever wanted to buy something from Anou for your friend’s wedding but had a hard time trying to figure out what might fit perfectly in their new home? Well, worry no longer, you can now buy a gift card for them on Anou! Even if your friend can’t find the perfect item, he or she can have an artisan custom make something just for them! 1 – E-mail us at hello@theanou.com and let us know that you’d like a gift card. 2 – You can pick any amount that you want to give. For example, a $1.47 gift card if your friend gifted you a paper towel rack that you didn’t even want for your wedding. Or a $10,000 gift card if you know your friend has always dreamed of upholstering his or her new house entirely with Moroccan rugs. 3 – We’ll e-mail you a printable PDF (see below) that you can print. For an extra $2 USD, we’ll print the gift card for you and have it sent from Morocco straight to your friend’s home. 4 – Don’t worry, there are no annoying rules like expiration dates. Your friend can wait as long as they want before they make their purchase. If you have any questions, just let us know at hello@theanou.com and we’d be happy to help. So spare your newly married friends yet another toaster or dishwasher and give a gift that matters. What are you waiting for? Select from one of many photos of your favorite associations or cooperatives and we’ll put it on the front of your gift card. The backside provides instructions for how to redeem the gift card. These images can be provided in PDF for or be sent directly to an address you choose! 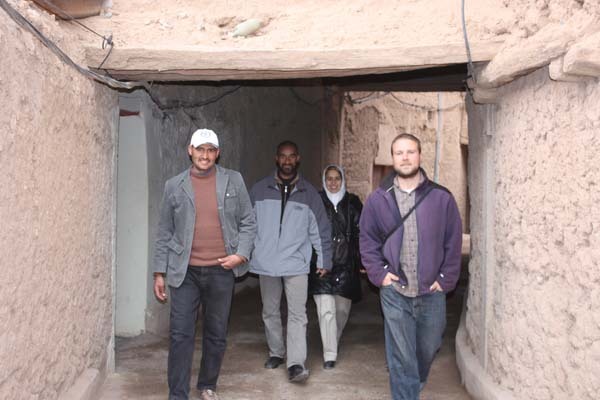 Are you a socially conscious riad or tour agency in Morocco? We want to hear from you! After talking with Anou’s customers during the past several months, we’ve learned that they all share at least one of four characteristics. 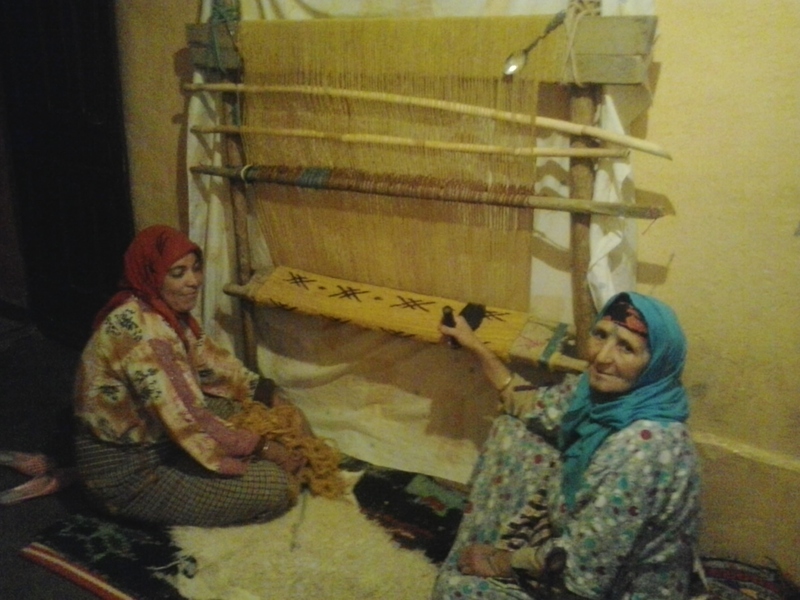 These characteristics are those who 1) have been to Morocco in the past or are planning a visit, 2) are socially conscious travelers and consumers, 3) have met an artisan in person during a previous trip, and lastly, 4) have a solid understanding of Anou and the fundamental role Anou plays within the artisan community. The more of these characteristics a customer had, the more likely they were to be champions of Anou and help us spread the word about what Moroccan artisans are doing to create equal access to local and global markets. 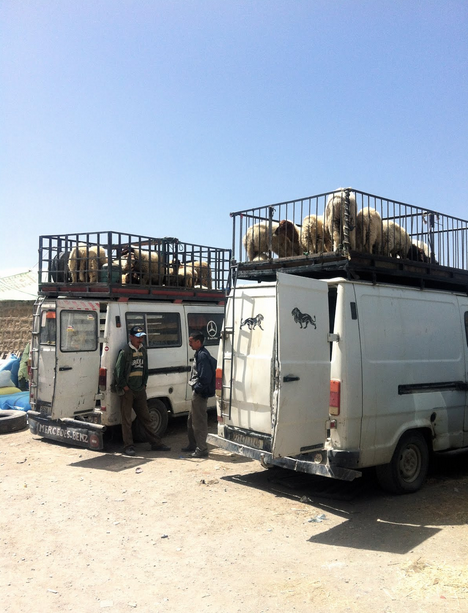 This sets the framework for how the Moroccan artisan community can best market itself. Our goal then is to ensure that every socially conscious traveler coming to Morocco knows about Anou and the role it plays within the artisan community here in Morocco. However, the big question is, how do we do that? While being featured in the Lonely Planet helps tremendously, Anou’s most effective marketing strategy is when artisans are responsible for marketing themselves. The logic behind this is pretty simple: almost no one believes that Anou is not a middleman until they hear it from the artisans themselves. 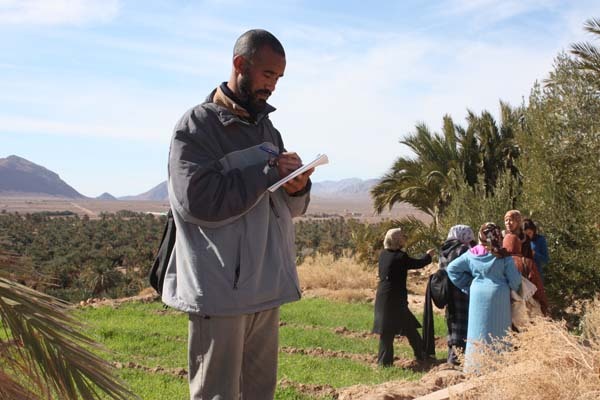 Therefore, we must connect tourists traveling through Morocco with artisans, so that artisans can explain Anou in their own words. 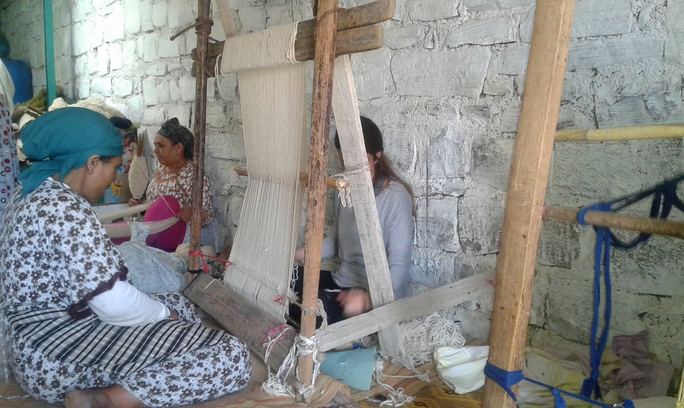 As such, during the past several weeks we’ve been reaching out to socially conscious riads, tour agencies, and other businesses to see how we might be able to connect their clients directly with artisans in the Anou community. Our initial conversations have been incredibly promising. One of the exciting ideas we’ve discussed is providing socially conscious businesses exclusive directories of Anou artisans. 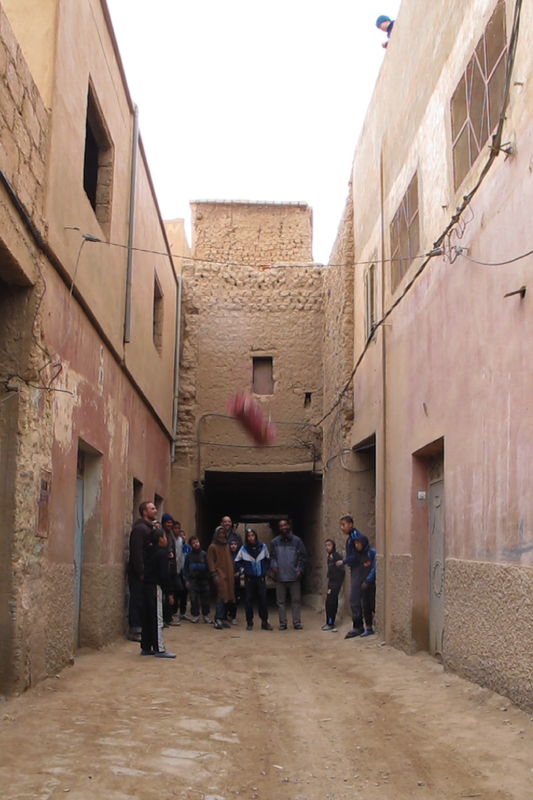 Take a look at this sample guidebook we put together for Dar Roumana in Fez. Such guidebooks will easily help riads like Dar Roumana create truly authentic experiences for their guests that go beyond typical, uncomfortable experiences with middlemen in the medina. In return, these businesses will agree to take no commission from the artisans when their guests visit Anou artisans. In addition, they will help us inform their guests about the artisan community and the important role Anou plays within it. Many of these ideas have been outlined in a draft Memorandum of Understanding that we’re still modifying as we try and find the right blend of idealistic, and realistic, ideas. If you’re a socially conscious, tourism related business that wants to support Morocco’s artisan community while aligning your business with an up and coming socially conscious brand , we want to hear from you! 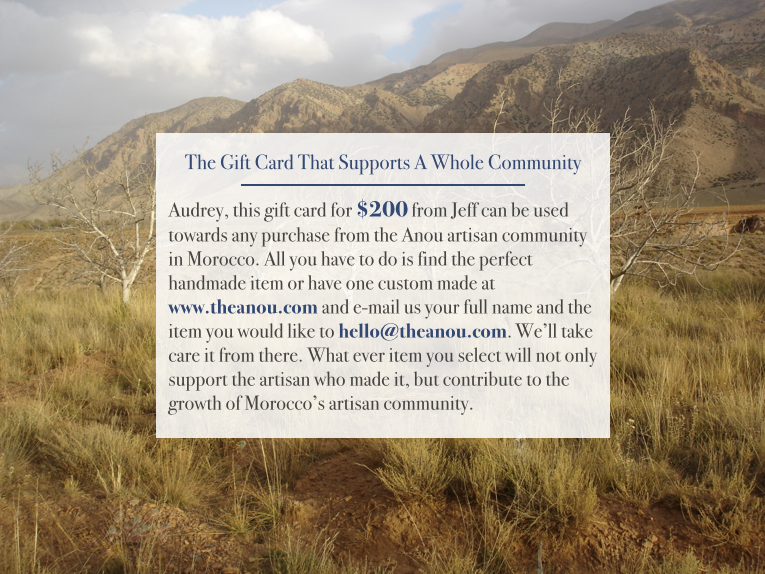 E-mail us at hello@theanou.com and let us know why supporting the artisan community in Morocco is important to you! We’ll look forward to hearing from you! 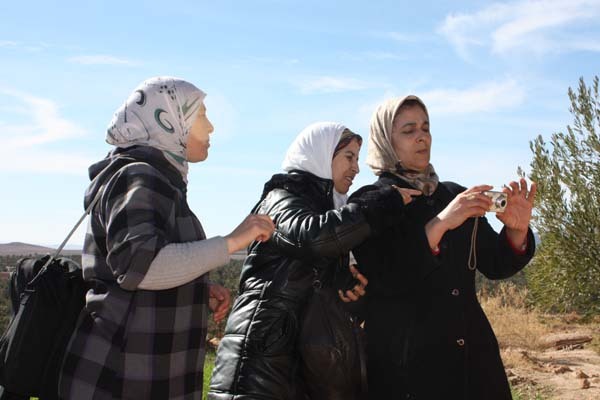 Earlier this year, an Anou artisan leader trained a group of candle makers on Anou. We were excited to bring an immensely popular request online for the very first time. The group posted a couple of candles online during their initial training and after a month or so they made their first sale. A couple of days later, the candlemakers had not confirmed the order via text. The leaders reached out, but the president of the candle group said there were no problems and that they’d ship the candle soon. Two weeks later, the candle still hadn’t been shipped nor confirmed. The leaders grew concerned because if an artisan does not fulfill their product, it doesn’t just reflect poorly on the candlemakers themselves, but on the wider artisan community. The leaders increased the pressure on the group, even suggesting that a leader would travel out to their town to send it for them if it wasn’t sent soon. Eventually, the president reached out and said they wouldn’t send the candle because business wasn’t very strong. All the president had to do was send the order and they would receive their payment, and likely, they would have received more orders from the same customer. Orders, it seemed, was exactly what they needed. The artisan leaders quickly concluded that the president wasn’t motivated. Yet when situations occur that don’t exactly add up, it is a huge red flag that something behind the scenes is wrong. The leaders kept pushing and eventually the president shipped the order. Several weeks later, a leader received a call from the president saying she no longer wanted to sell on Anou. Instead, she just wanted to focus on selling to tourists and at craft fairs. We were concerned: Did Anou do something wrong? Was there any confusion about how Anou works? The leaders called a few of the other members to find out what happened. The leaders quickly learned that all the members had quit the group. When the item sold on Anou, the women knew the final selling price for the first time because Anou sends out SMS messages with the final selling price to each person who made the product. Prior, the president simply sold directly to tourists and at craft fairs and had no incentive to tell the women the final selling price. The president hesitated in sending the candle that sold on Anou because she’d have to pay them now knowing that the rest of the women actually knew the final selling price on Anou. According to the women, prior to Anou they had always been paid a much lower amount than the price now listed on Anou. Yet even after the women were made aware of the actual selling price on Anou, the president still paid them the lower amount that she had always paid them. Feeling cheated on top of a whole host of other problems, they all quit in protest. As of today, the candle group no longer exists and their account has been shut down. The story of the candle group illuminates the environment that the vast majority of artisans operate in. Many artisans, if they belong to an association or cooperative, are not even aware of what their own group sells their products for, much less the price it is resold for by a reseller. Sometimes, artisans don’t want to even know because it can complicate the fragile operations of the group. Othertimes, artisans say they simply don’t care to know the price. All this combined with low literacy levels goes to show just how easy it is for artisans to be taken advantage all while creating incredibly unstable working environments. The importance of transparency, as we’ve written numerous times before, is key for the long-term success of Morocco’s artisan community. This is why we’ve prioritized transparency through tools such as our innovative text messaging system to ensure that every member knows what price their work sold for. When each artisan knows the price, they themselves can hold everyone accountable to ensure that they are paid what they agreed to as a group. This tool has been so effective that many presidents of artisan groups decline to work with Anou because it will likely end their position of power and personal profit. It is why the president of the candle group would rather keep selling at craft fairs, to tourists, fair-trade shops, or wherever else that requires little to no transparency within the group. Is there ever too much transparency? Despite the success of this tool, it remains imperfect. For example, does every artisan that receives a text message with the price their product sold for understand what the text message means? Did the text even go to the phone they own? We admittedly haven’t followed up on this after every sale. If we did, we are certain we’d uncover some non transparent practices. In fact, there are two groups currently on the site that we suspect are not paying all their members transparently. Unfortunately, we haven’t gathered enough evidence to intervene and shut down their accounts. The question for us is how far should we go to ensure complete transparency? If we followed up every sale or tightened our transparency tools, would we blow up more groups? Do artisans whose group disintegrates end up worse off as a result of transparency? As you might have guessed, we are huge advocates of complete transparency. There is much, much more we can do to ensure full transparency of every sale, but we have to act carefully. Ultimately, our ability to create transparency can only go only as far as the artisans’ customers desire it. 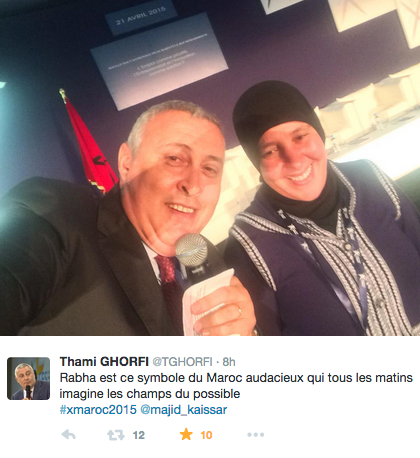 Even the most non-transparent groups in Morocco would become more transparent if it resulted in more sales. As long as there are easy ways to sell work with little to no accountability, Anou’s impact across Morocco will be limited. And unfortunately, groups like the candle makers prior to Anou will continue to operate with very little incentive to change. After several months of development, we’re excited to officially announce our collaboration with the British Council’s highly successful Design Explore program. 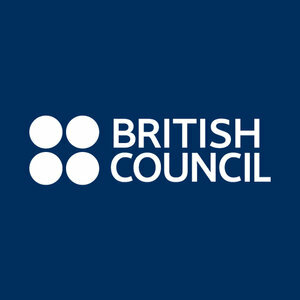 Starting this August, the British Council will sponsor a British designer to live and work with Anou’s artisan leaders. The goal will be to exchange ideas, culture and techniques in their respective crafts in order to spur both the artisans and designers’ ability to create new and innovative designs. At the conclusion of the month-long residency, the artisan leaders will fly to London for one week. In London, the artisans will work with the designer alongside a UK curator to set up an exhibition to display the work they created together in Morocco at the London Design Festival, one of the largest and most dynamic design events in the world. At the festival, the artisans will be able to observe cutting edge design all while sharing their experiences as Moroccan artisans and what they learned working directly with expert designers. During the week, the artisan leaders will visit leading designers in their studios and also meet and exchange ideas with students and professors from the top design schools in the United Kingdom. 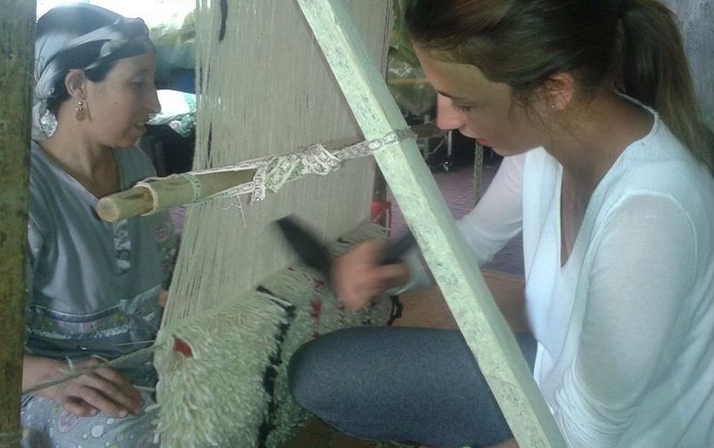 This program has an immense amount of potential to benefit the artisan community in Morocco. In order for Moroccan artisan community to truly thrive, direct access to the market isn’t enough. Artisans themselves must also learn how to innovate and create new designs that blend their traditional craft with current and future trends in the global marketplace. Artisans will never be able to earn more than a fair wage if they just continue to work as labor. Through the direct access to market Anou provides, in combination with the one-of-a-kind experience the British Council program will provide the community, Moroccan artisans will be able to make the leap from merely being producers to designers and ensure the sustainability of their craft and livelihood. If the pilot proves successful, Anou will continue working with the British Council to expand the program next year so it can benefit more Anou leaders and highly motivated artisans. We can’t wait for this program to begin! Living in Morocco and Want to Buy From Anou’s Community? Now You Can! A question that always comes up when we present Anou is, “Can people within Morocco buy from the site?” Unfortunately, our answer has always been no. But starting today, we’ve changed this. 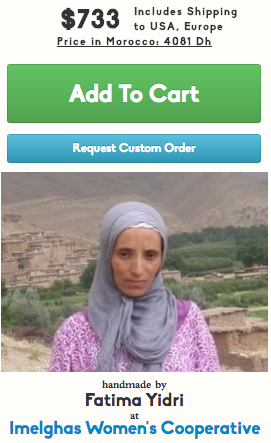 You can now purchase products from the Anou community from within Morocco! All you have to do is is click on any product page and you will now see the price in US Dollars with shipping to the US and Europe AND the price in Moroccan Dirhams with shipping within Morocco. If you want to purchase a product, just send us an e-mail at hello@theanou.com (English, French, or Arabic), we’ll explain the options of payment, and then the artisan will send your order directly to your address in Morocco. You can now have products shipped within Morocco! Now all product pages display prices in USD with shipping to the US/Europe AND prices in Moroccan Dirham with shipping costs within Morocco. This is an exciting and necessary change for Anou for many reasons. One reason is because demand for Moroccan products is highest amongst the expat community. And while expats have access to local medinas, they’ve continually expressed to us the desire to buy through Anou so they could know their money was going straight to the artisan in a transparent manner. A second reason is that it helps Anou create more trust amongst its customers. When customers see prices on Anou that are much more expensive than in the medina, they incorrectly assume it is Anou marking up the prices rather than the fact that Anou’s prices include shipping to the U.S. and Europe. With this feature, all customers will know just how much it would cost to buy in Morocco and abroad — an important piece of information that is essential for Anou’s transparency. The third reason is that while we expect to see continued sales from international markets, we believe that the market with the biggest potential is the Moroccan market. While this might surprise some, the demand for artisanal products is growing in Morocco. As more and more Moroccans work to promote the preservation of their valuable culture, the pendulum is beginning to swing back. As a result, we expect that Anou’s artisans will begin to ship the majority of their online sales via Anou to customers in Morocco within 5 to 10 years. If you find this unbelievable, then you might be also surprised to learn that the Moroccan Ministry of Handicraft cites that as of today only 8% of all Moroccan artisan sales are exports. 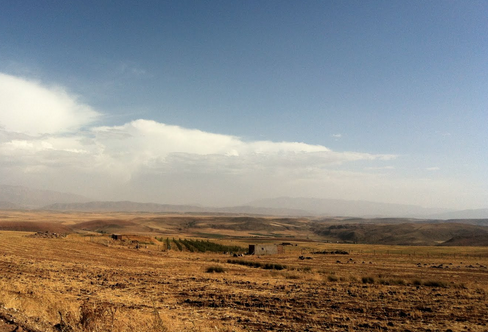 While we’ve only released this feature in the past 24 hours, a cooperative has already made a sale to Marrakech. 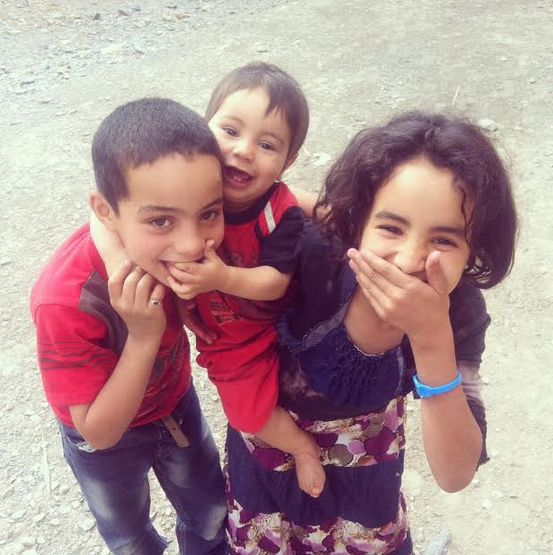 So if you’re in Morocco and you want to support artisans directly, what are you waiting for? When Cooperative Chorouk was first founded in 2009, it started off with 26 members. Over time, the number of members of the cooperative slowly began to decline due to a lack of sales. When Cooperative Chorouk was first joined Anou in late 2012, the cooperative was down to just seven members. Yesterday, Cooperative Chorouk excitingly announced on Anou’s Instagram account (read our blog post about Anou’s Instagram account on our blog) that for the first time in their five year history they started to bring more women into their cooperative — twelve women to be exact! Rabha Akkaoui, the cooperative’s president, said that the coop made the decision to add more active members in order to keep up with their increased sales and income via Anou. Rabha teaches teaches the new members how the cooperative sells their work online. Stories like this becoming more common within the Anou community. 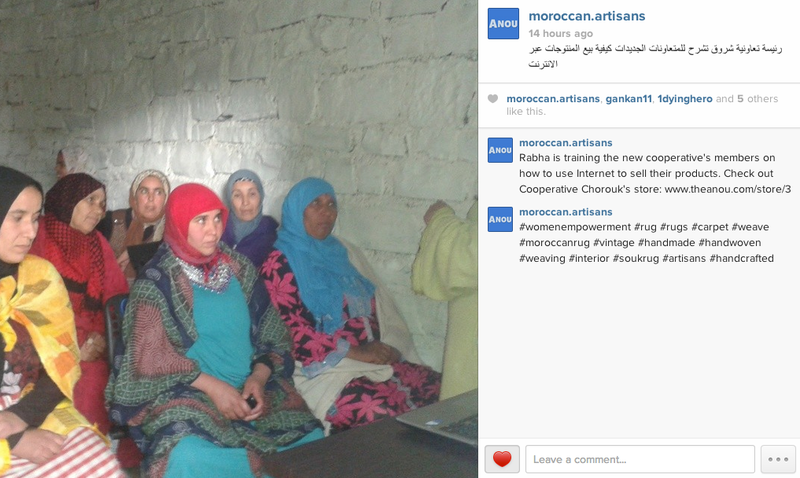 By becoming an Anou artisan leader, Rabha has traveled across Morocco teaching cooperatives and learning from them and invested what she learned into her own cooperative. As a result, the entire cooperative has improved its photography, pricing, product development and even how it delegates tasks. 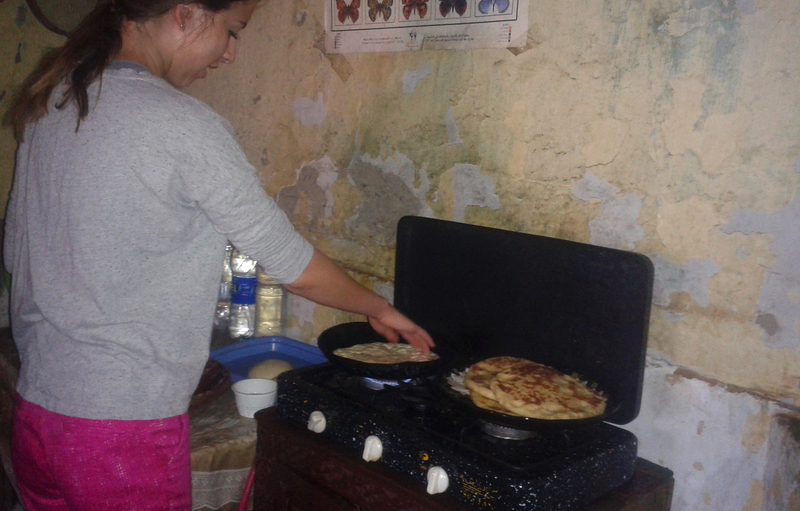 The cooperative used these skills to increase sales on their own, rather than expecting someone else to do it for them, and now they’re creating jobs in small village. There is an immense amount of potential to create more jobs in the wider Anou community. We recently completed Anou’s first census, where we structured the census to reflect both active members (those who actively work with the group at least three times a week) and inactive members (those who were once a part of the cooperative, but no longer have work because a lack of sales). The number of active artisans in Anou’s community currently stands at 391 artisans, but if you include inactive members the number shoots up to 883 artisans. In short, if the Anou community increases its sales, the community size and number of jobs could pretty much double overnight. While still anecdotal, this story shows the immense power of creating an ecosystem that is powered by artisans themselves. When skills are developed and kept within the artisan community, sales and jobs will follow. And with enough time, such stories will no longer by anecdotal. As we noted in a recent blog post, the Women’s Cooperative of Imelghaus became one of Anou’s top selling artisans. With more sales combined with encouragement from Anou’s community leaders, the women finally started to record all of the material costs and time spent on the rugs they make. The women were shocked at what they learned. The first rug they began recording on was a beautiful, custom ordered 10’ x 8’ Beni Ourain style rug. The artisans listed the price on Anou for $380. Since the rug weighed over 21 kilograms, the cost to ship it to the US came to $260. Anou’s community fee, which is about 6% of final listed price, added $43 to the price.The credit card payment company we use to process credit cards added $21, or about 3% of the final price. All of this combined set the listed price on Anou for $712. 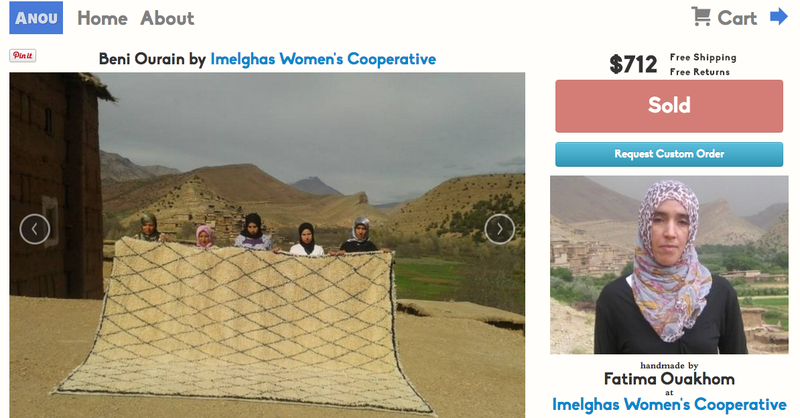 The Imelghaus Cooperative listed their Beni Ourain rug for $712 on Anou. Providing this much detail in how prices are calculated is unprecedented in the fair-trade industry, but we can learn even more by breaking down the $388 the artisans earned using the material and labor information they shared with Anou. The cooperative recorded that they spent $125 for the wool to make the rug leaving them with a total of $236 for their labor. 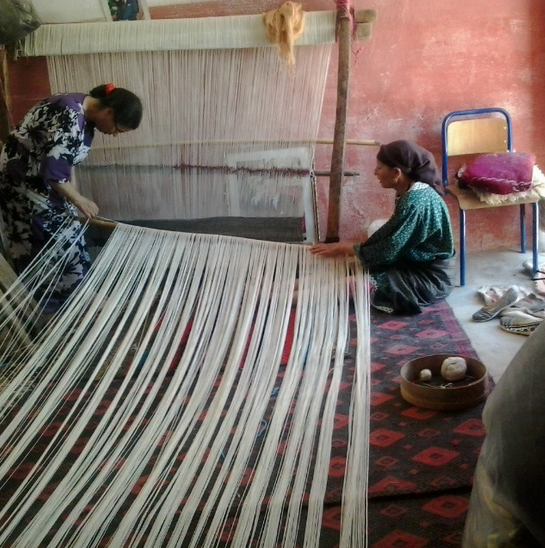 The women recorded that it took over 280 total hours of weaving. This puts the cooperative’s hourly wage at $.93 USD/hour, or $7.44 for an 8-hour work day. This wage is less than what a day laborer makes in the rural valley where the cooperative is based. It is also below the Moroccan minimum wage for agricultural workers, which is the equivalent of $7.50 per day (learn more about Moroccon minimum wage on Wikipedia or fairwageguide.org). 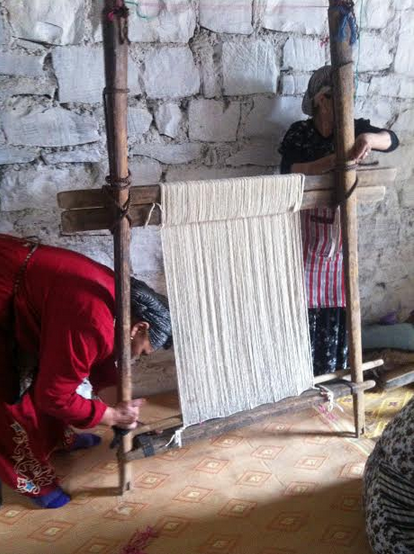 The women recorded that it took a total of 280 hours of weaving to complete their Beni Ourain rug. 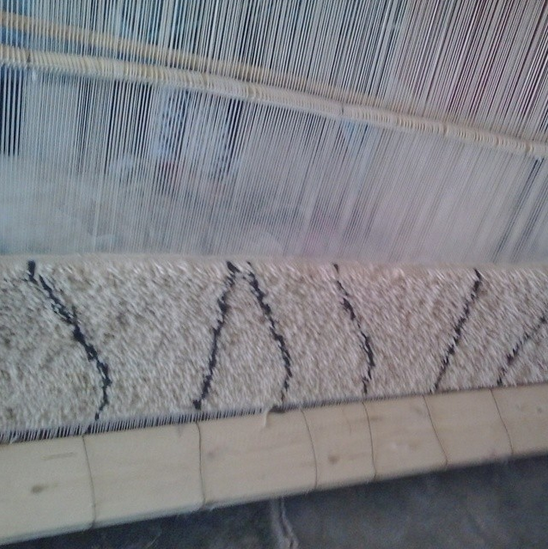 The time spent creating the warp (pictured above) or preparing the wool was NOT included in the 280 hours the cooperative recorded. The numbers are surprising because they are incredibly low. So low, in fact, that you might think the wages couldn’t get any lower. However, cooperatives are regularly faced with buyers, both fair-trade and regular retailers alike, who request prices lower than what they list on Anou. Worse, it is not uncommon for women’s cooperatives to unknowingly sell their products at price that only meets a quarter of their material costs when selling to traditional middlemen. This is largely why it is not hard to find rugs for sale in the Marrakech medina for prices cheaper than what is listed on Anou. Take a moment for that to sink in. With no other sales avenues other than local craft fairs, artisans, much like the Women’s Cooperative of Imelghaus prior to Anou, never have had the knowledge or incentive to push back when buyers want lower prices. For the first time, the women met and decided that they wanted to increase their pay to $1.70 an hour, or $13.60 a day. This new rate would exceed the Moroccan minimum wage for industrial labor, a big deal in rural Morocco. As such, similarly sized rugs the cooperative produces in the future will now be listed on Anou for around $912 USD, an increase of $200 from their previous price. 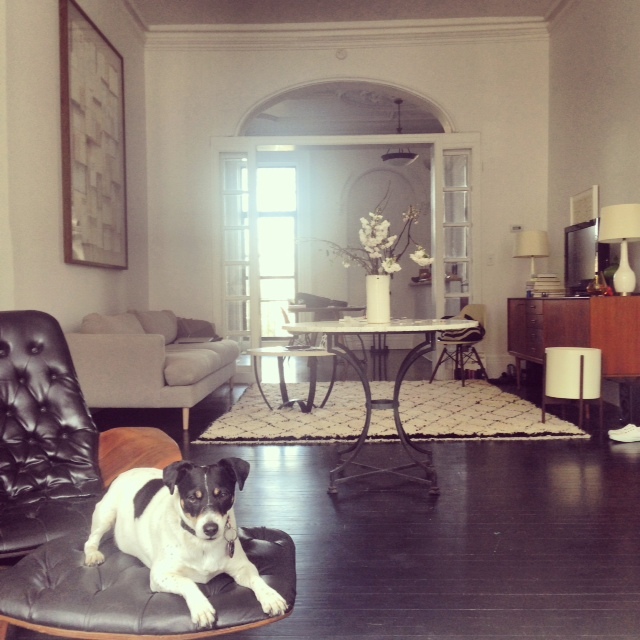 The Cooperative’s Beni Ourain rug at its new home in Brooklyn, New York. Rugs purchased directly from artisans look just as great, if not better, than the ones purchased from high end resellers. Recently, Anou was featured in an Apartment Therapy blog post in which they discussed where to buy Beni Ourain rugs because their “popularity…shows no signs of flagging.” The average price of similarly sized rugs listed on their blog (minus the product listed from Anou) was $2,564 USD. This number serves as a good indicator of the average market value for these type of rugs. Imagine the impact a sale would make if the women of Imelghaus could sell their rugs at that price or even half that price. The only way this is even possible is if the artisans are able to sell directly to their customers and customers are knowledgeable about whom exactly they are buying from. The cooperative’s new price is a lot higher than before but still much cheaper relative to the other products listed on Apartment Therapy. Time will tell whether the cooperative will be able to continue their recent pace of sales at their new price. If they’re not able to, you only have to scan to the bottom of the Apartment Therapy article to see what the future of artisan craft in Morocco looks like if artisans aren’t empowered to sell directly to their customers: 10ft x 8ft West Elm “Moroccan” rugs made in India. Perhaps the trend of Beni Ourain will never “flag”, but it is obvious that the culture and artisans behind this craft surely will if artisans remain dependent on others to sell their work for them. Last week we were contacted by an unhappy customer about one of the rugs they purchased from Anou. 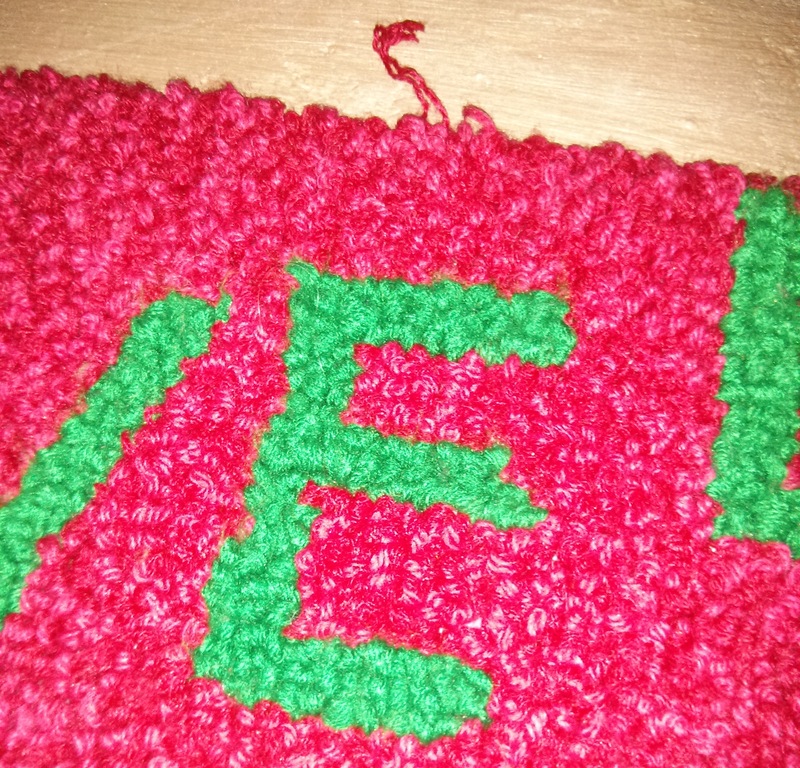 They noted that their rug had multiple frayed threads and asked if they could return it. We were happy to. We even covered the return shipping. After finding a couple of frayed edges on this rug, the customer decided they wanted to return it. When we first launched Anou, we were told it was too risky to expect artisans to fulfill their own orders, much less provide free returns. Instead, we were advised to consolidate products to monitor quality before they were shipped. But this wouldn’t have worked for two reasons. First, it would have been cost prohibitive. Second, artisans wouldn’t be able to learn and understand the expectations of quality their customers have. Anou’s success thus far has been built on the idea that experience is the best teacher. Artisans don’t necessarily suffer from a lack of training, but rather a lack of experience. The more meaningful experiences artisans have, the better they will become at their craft and the more successful they will be. That is why we’ve made sure to make it as easy as possible for customers to return their products. While returns can be costly, we consider it a necessary expense to build the experience needed so artisans can thrive. Given that the Anou’s store has only had one return since it’s launch, something is clearly working and it is unlikely that we’ll change our free return policy anytime soon! Last week we brought together the leaders of Anou’s artisan community for four days in order to prepare them to take over operations of the Anou store on January 16th (read more about Anou’s transition to becoming fully artisan led). As of tomorrow, the leaders will have taken the reigns of the site for one week and there have been no major issues so far. Things are looking bright for the rest of the month! The smooth week we’ve experienced can easily be traced back to all the topics we covered during our four day training. Below are a few of our favorite pictures from the training. If you want to see all the pictures, check out the album on Anou’s Facebook page. Rabha, Kenza, Brahim, Mustaph Chaouai and Tom eat lunch when everyone arrives in Figuig after a long journey from their villages. 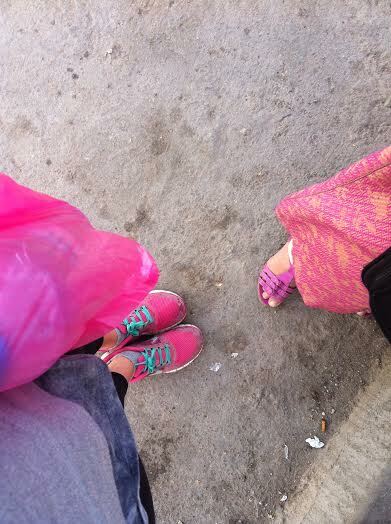 The training kicked off with a afternoon walk out to the Algeria – Morocco border. 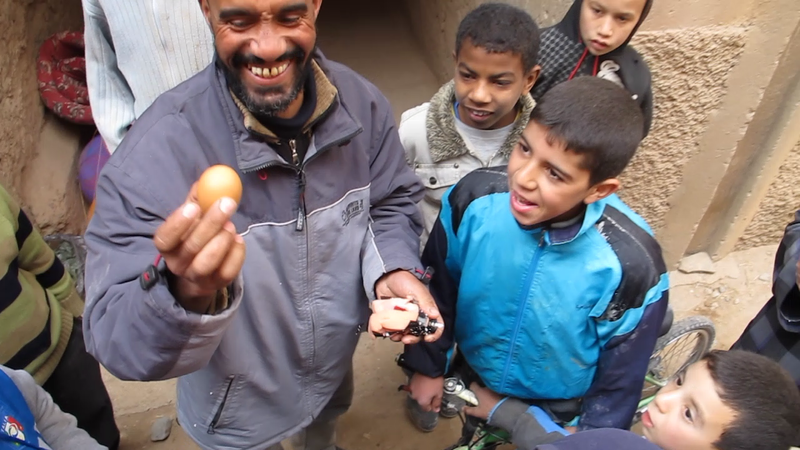 In order to improve the overall packaging on the Anou store, Anou’s team organizes an egg drop contest. The team member who uses the least amount of money to buy packaging to protect an egg from a two story drop wins! Four out of the five eggs dropped survive the fall. Not bad! After the egg drop contest, Brahim begins to walk through everyone on the new dashboard. The tools on the dashboard enable the team to do things like review new products added to the Anou store, send payments and track existing orders, among other features. Brahim teaches Rabha how to send payments to artisans using the new dashboard. From left to right, Kenza, Rabha, Brahim and Mustapha interview members of Association Assala to begin building the association’s online store on Anou. This is what an effective training looks like. Every member of Association Assala gets a chance to informally ask questions with Anou’s team before the training begins. Brahim delegates the responsibility for the training to each member of the Anou team. Rabha trains each member of the association basic photography skills. Mustapha gathers any relevant information about the products and materials the association uses. 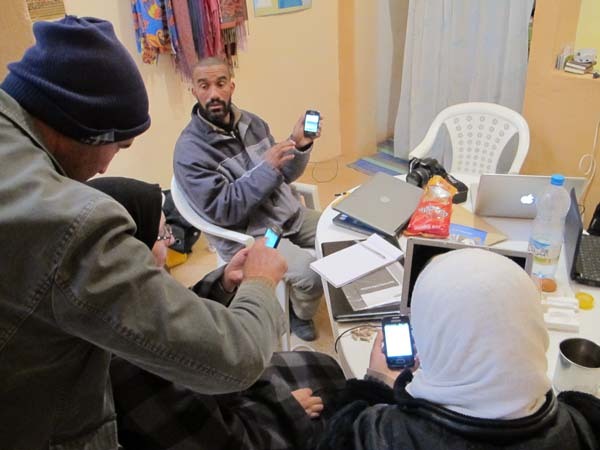 While Mustapha and Rabha work with the association, Kenza and Brahim set up the association’s online account on their mobile phones. After a short while, the association begins to take some stunning photographs of their products. Anou’s team spends the remaining time in Figuig finishing up the association’s account and reviewing any aspects of Anou they don’t fully understand. By the end of the training, Anou’s team was ready to take over the management of Anou! This is just a quick glimpse into the preparation of Anou’s team to take over the site. To learn more about this training, take a look at our Facebook album! After spending a lot of time with many artisan groups, we’ve quickly learned that their businesses heavily revolve around custom orders. It is no surprise then that many artisans have asked if they could receive custom orders via Anou, rather than just posting the items they have already made. We have considered custom orders since the beginning of Anou but we have proceeded cautiously. There are the readily apparent challenges such as communication barriers and amount of hours that goes into detailing how an item should be made. But there are also subtler, more dangerous challenges, namely the fact that over specific custom orders can rob artisans of their culture and creativity. To move forward, we knew we needed to determine two things. First, are custom orders a net-benefit for artisans in the long run? And second, is it possible to empower rural, even illiterate artisans to fulfill these orders independently? Over the past several months we’ve immersed ourselves in the custom order process. We’ve talked with artisans whose businesses depend on custom orders and discussed with them their experiences, both good and bad, to learn more about the process. In addition to this, even though it hasn’t been publicized, we’ve been fulfilling custom orders via Etsy and our chat box on TheAnou.com. Needless to say, we’ve learned a lot. The first thing we learned is that the vast majority of artisans fulfill custom orders based off products they already have. Meaning, someone will walk into an artisan shop and ask an artisan to make the same product, just in a different size or color. In fact, all the custom orders we have fulfilled on Anou follow this pattern. Nothing demonstrates the impact such sales can have on artisans more than the fact that approximately 50% of our revenue this month so far have come from this type of custom order. The second thing we’ve learned is that a small fraction of custom orders take up most of an artisan’s time. This small fraction of orders are the dangerous orders. Customers write in or request incredibly specific designs. Tens of e-mails go back and forth detailing just how the customer wants it. By the time an artisan finishes a product, it may look Moroccan, but the artisan had little to no creative input in the process. Artisans may make money from these transactions, but at the cost that artisans stop making their own products and wait for others to tell them what to make. In essence, they become labor where the design, and ultimately the value, of the product stay in the hands of someone else. If we’re truly serious about creating a thriving artisan community, rather than one that just gets by on the good will of others, we need to create a way that illiterate artisans can fulfill custom orders while fostering their innate creative talents. We’re still manually testing custom orders, but we have consolidated how our platform will work based on the things we’ve learned. Soon, we’ll release a feature that will enable customers to request a custom order of a product an artisan has posted for sale, or one that they have sold before. From there, the customer will be able to request quantities more than one, modify the dimensions of the product, and select a color palette that artisan can draw from as they create the product. This information will be sent to the artisan in a language free format where they can accept the order (if they have the time and material available) and then reply with a price and estimated time to complete. If the customer accepts, they will then pay the price up front. From there, the artisan will be able to provide the customer with pictures of the product as it is being made in real-time. Excitingly, we’ll be able to create this process without the use of any language so even illiterate artisans can utilize it. Fatima Haddu of Cooperative Chorouk (http://www.theanou.com/store/3) takes a picture of a custom order at the halfway mark. Such a system will not just preserve the artisans artistic creativity, but expand it by providing artisans with additional insights into what the current trends are in the global marketplace. And most importantly, artisans will be able to retain the value created by their designs and products. We’re incredibly excited about this feature and we’ll be sure to announce here when it is ready to go. In the meantime, please reach out if you have thoughts that you would like to contribute to Anou’s future custom order process. And if you would like something custom made, reach out to us at hello@theanou.com. We’ll look forward to hearing from you! Beni Ourain rugs are one of the post popular Moroccan artisan products. The rugs effortlessly blend traditional Moroccan design with a timeless contemporary feel. The rugs have been featured in numerous design magazines including Vogue and as a result, Beni Ourains can command incredibly high prices. 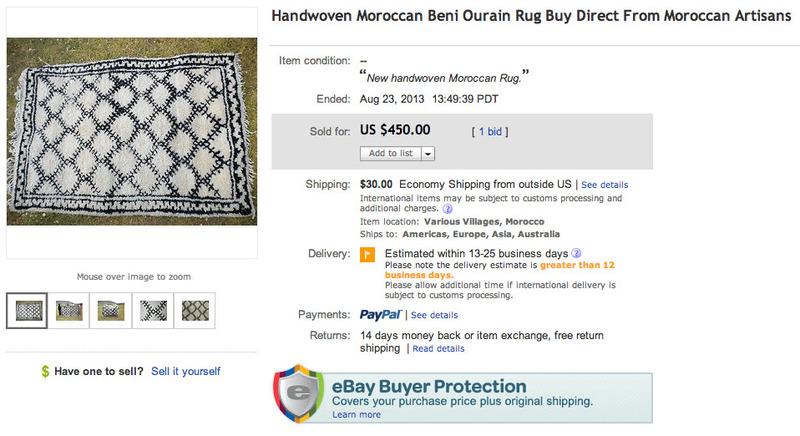 Now, take a look at the recently sold Beni Ourain rugs on Ebay. The rugs are selling anywhere between $500-$2000 dollars. 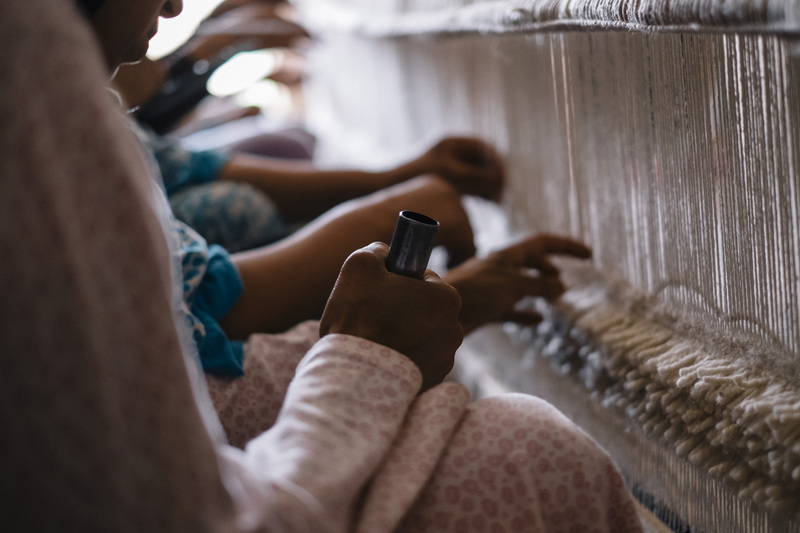 The work that goes into making a Beni Ourain style rug is in some ways indescribable: it takes multiple weavers weeks of threading wool and tying each individual pile knot to create these highly sought after rugs. Yet the monetary value created by these rugs doesn’t stay in the hands of artisans, it stays in the hands of anonymous resellers on Ebay. But that’s how a free market works, right? At Anou, we’re not a charity, and we’re not looking for sympathy for the weavers who get paid poor wages. Instead, we simply train weavers in the skills they need and equip them with the tools so that the market place works for them rather than against them. After being trained by Anou’s artisan trainers, members of Association Nahda worked tirelessly to take great product shots of their Beni Ourain style rug. Once they received high enough ratings on Anou from shoppers, the rug was automatically posted it on to Ebay. Since we knew it was undervalued, the listing was created as an auction with the starting bid of $360 (Nahda’s Anou price + Ebay/Paypal Fees). $120 is 1,008 Moroccan Dirham, or approximately half the average month’s wage for the average Moroccan (or 25,200 Ryal for all you Morocco PCVs counting in units of 20 out there). 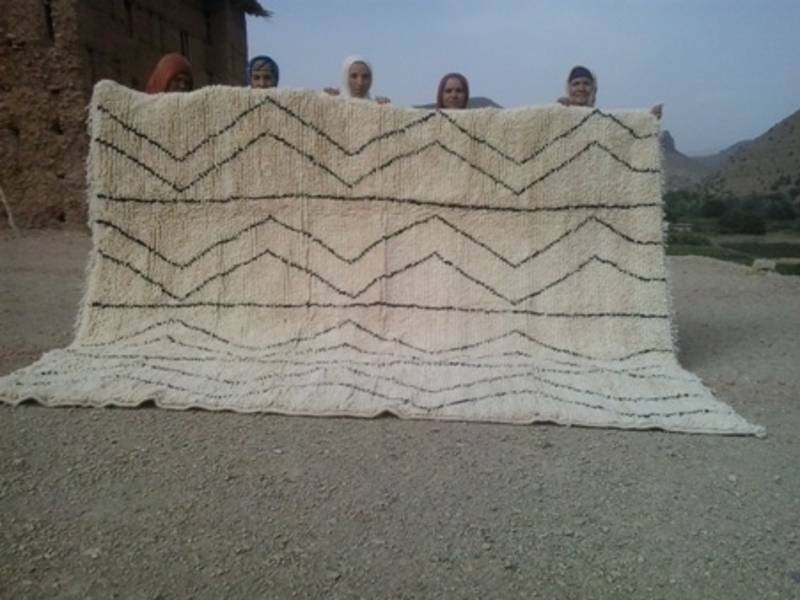 With Anou, the artisans got a huge pay increase, and the buyer is ecstatic that they were finally able to buy a Moroccan Beni Ourain style rug directly from the weavers who made it. Because that’s how a free market should work, right? Follow the Anou Community on Instagram! Why do Moroccan wool rugs shed? Everything you ever wanted to know about wool, shedding, Moroccan rugs, and more.